This software has been discontinued by Native Instruments. 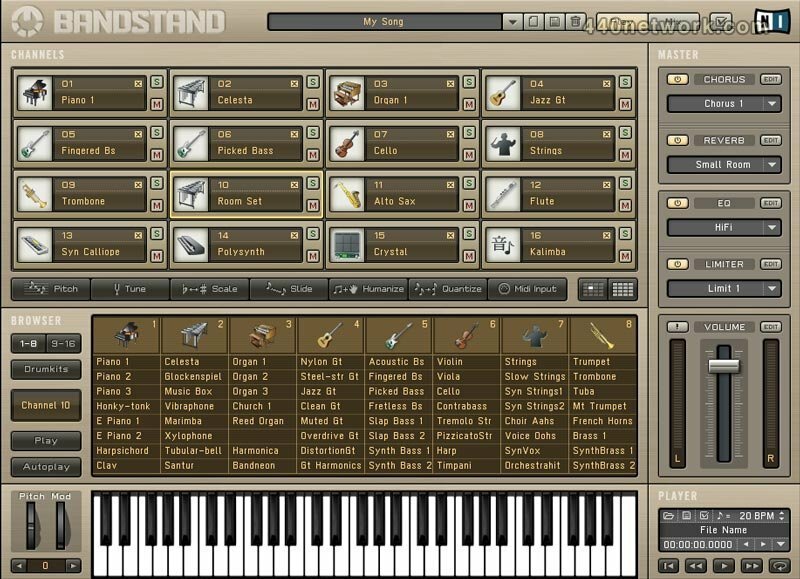 Bandstand is a software instrument designed for musicians, performers and producers that work with the General MIDI format. 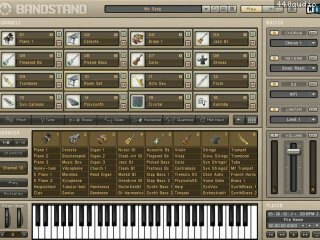 Bandstand includes a true studio-quality GM sound library, and is equipped with a host of powerful and easy-to-use General MIDI features that make working with GM-based arrangements efficient and convenient, both in the studio and on stage. Universal Binaries Update: Now compatible with Intel Macs! the mix, velocity curves, effect send levels, and effect presets.